Xbox One, Xbox 360 and PC gamers are desperately waiting for Respawn Entertainment’s upcoming highly foreseen first-person shooter video game called Titanfall. Microsoft has kept Respawn Entertainment from releasing Titanfall on all gaming platforms and the game is set as an exclusive for Microsoft platforms. Titanfall achievements for Xbox One and Xbox 360 have reportedly been leaked. 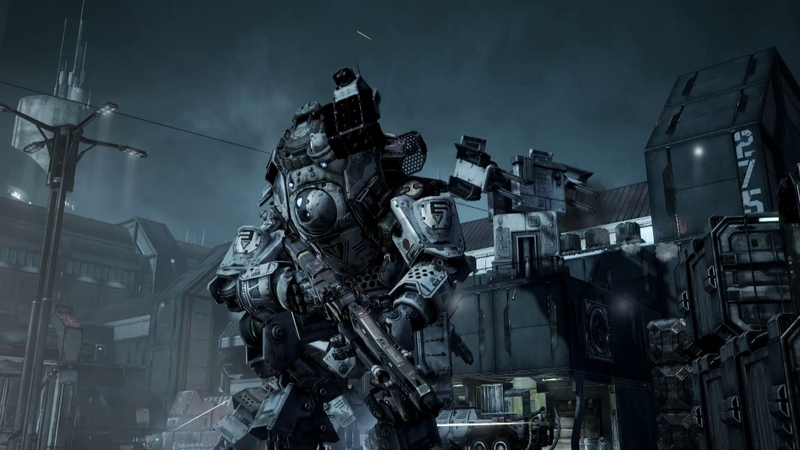 Earlier, Respawn Entertainment initiated the Beta testing phase for its upcoming game. Titanfall Beta turned out to be a great success with the participation of millions of Xbox One and PC gamer from all around the globe. Titanfall Beta testing is done and now the developer is preparing for the official launch of the game that will take place next month. Microsoft has recently revealed the installation size of the game on Xbox One. According to the information, Titanfall will cover 15.88GB space on the Xbox One harddrive. Respawn Entertainment has released a lot of information and details about the game since its reveal at E3 2013 and now it looks like all what the gamers want is to get their hands on the Titanfall as soon as it is launched. However, there is still one thing that has not been revealed by the developer: Titanfall Xbox 360 and Xbox One achievements list. 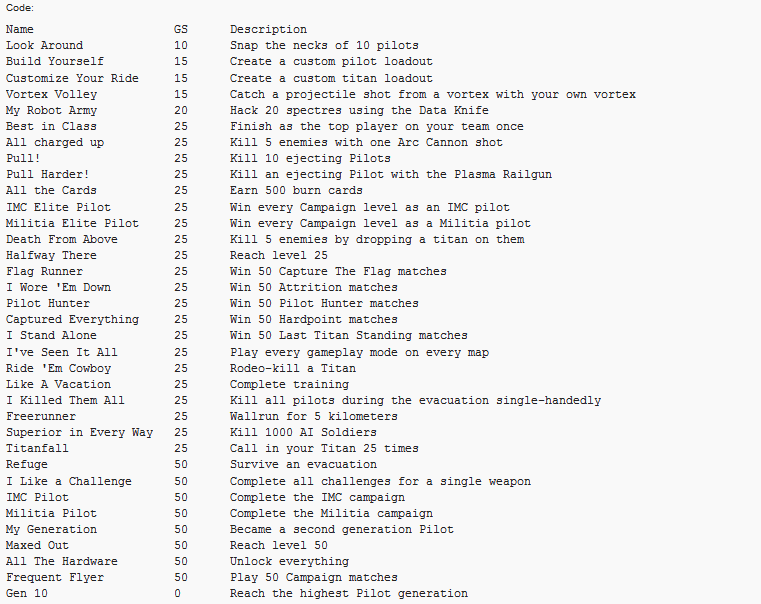 But thanks to neoGAF, it looks like the Titanfall achievements list has been leaked. The leaked Titanfall achievements list looks quite legitimate because the names and descriptions are worded according to the in-game events. One achievement in the list seemingly confirms Titanfall’s Prestige mode, known as ‘Generations’. 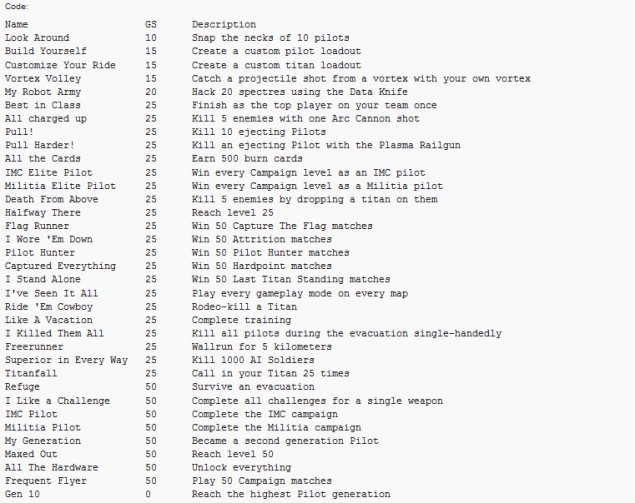 The achievement is named as “My Generation” and described as “Become a second generation pilot.” Titanfall achievements have not been officially confirmed by Respawn Entertainment so this list can’t be considered final. We will have to wait until the game is officially released on March 11. What do you think about Titanfall achievements list? Please let us know your views in the comments below.